This is part 4 of a 4 (or 5) part hands-on unit on the Medieval Period. 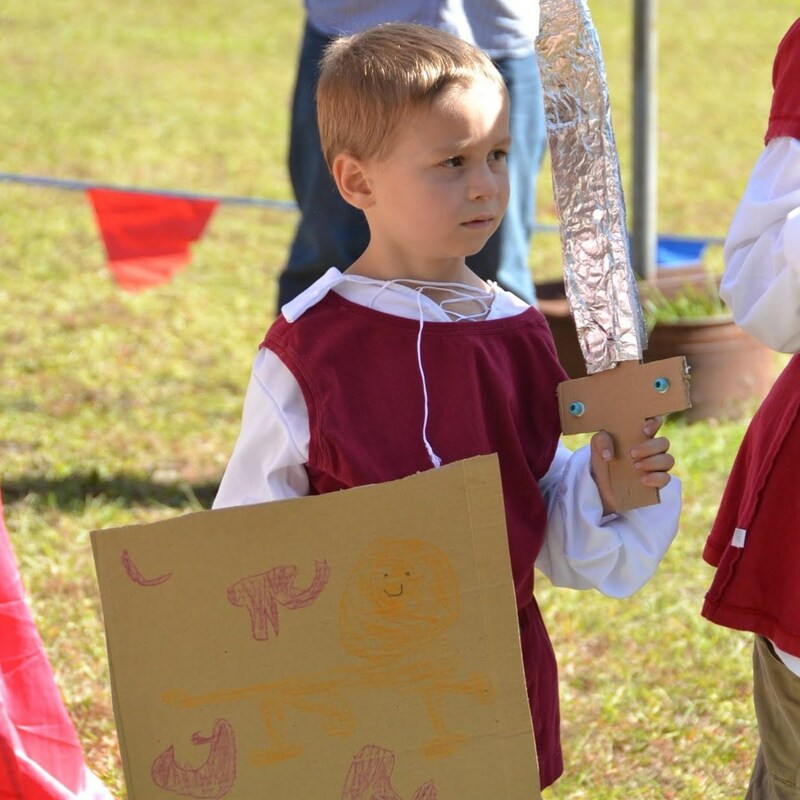 Create a Coat of Arms and swords, hold a jousting tournament, act out a knighting ceremony, and more! These lessons are geared toward 4th-5th grade level children and their siblings. They were created by another mom for our weekly homeschool co-op. We meet each week for 2 1/2 hours and have 33 children between the ages of 1-13. Use these fun lessons with your class, family, after school program, camp, or homeschool co-op group! Would you have wanted to live as a knight or lady during the Medieval Period? 1. Pray. Read & discuss Ephesians 6:11-17. 2. Review what we learned about medieval life & castles. 3. Discuss Coat of Arms and the meaning of some of the symbols. Let children design their own. I own this book and have used it numerous times. My children love looking through it and coming up with their own coat of arms designs! It is simple and well laid-out with colorful illustrations; plus, it includes a plastic stencil to help with the designs! 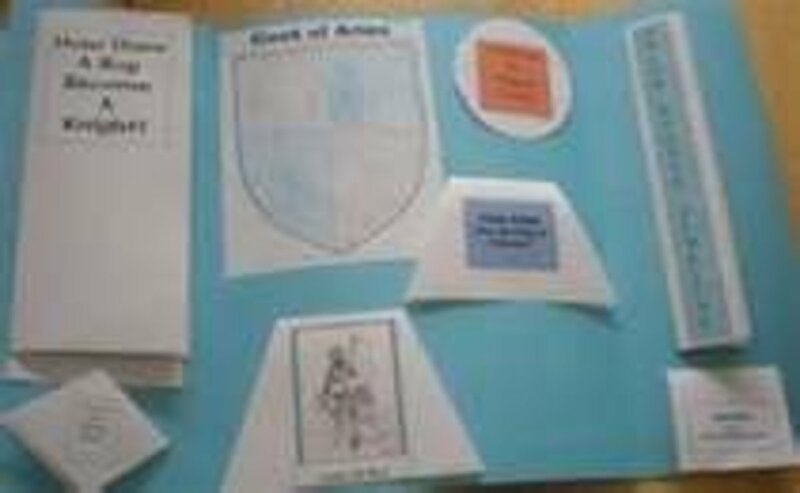 *Design Your Own Coat of Arms: An Introduction to Heraldry (Dover Children's Activity Books) by Rosemary A. Chorzempa is a slightly more in depth than this book, but they compliment each other well. If you get these 2 books, you'll be covered when it's time to design your Coat of Arms. 4. Read about the process of going from a squire to a knight, either Knight of the Middle Ages by Dorothy Welker or The Making of a Knight: How Sir James Earned His Armor by Patrick O'Brien. 5. Briefly discuss the differences between the duties of boys and girls during the Middle Ages. 6. Divide the boys and the girls. This has great illustrations and text. James begins his journey at age seven as a page, working his way up to squire and, after proving himself brave in battle, a knight. 7. Let the boys design their own cardboard swords and shields using pre-cut cardboard swords and shields. These will be used later for their knighting ceremony. They can use markers, paint, and/or fake jewels. Tape aluminum foil around the swords to make them look like they are made of metal. To get ideas on how to design these, you can go to http://www.wikihow.com/ for a simple version and/or http://www.stormthecastle.com/ for a more complex version. 8. Briefly review the process of training to become knights. a. 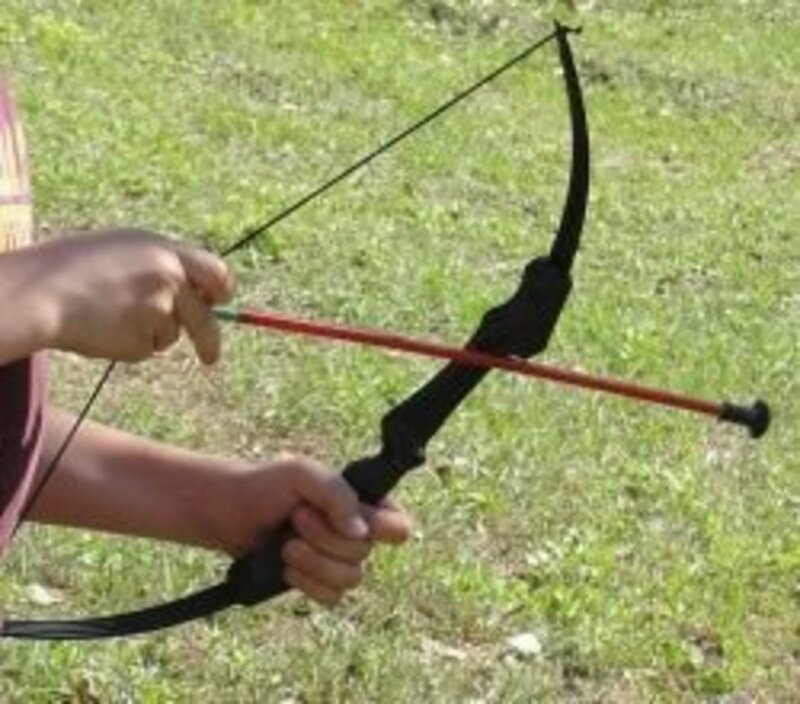 Bow & Arrow: Use bows and suction-cup arrows -- or use real bows & arrows if you have them. Paint bulls-eyes on cardboard and have then boys see how well they can aim. 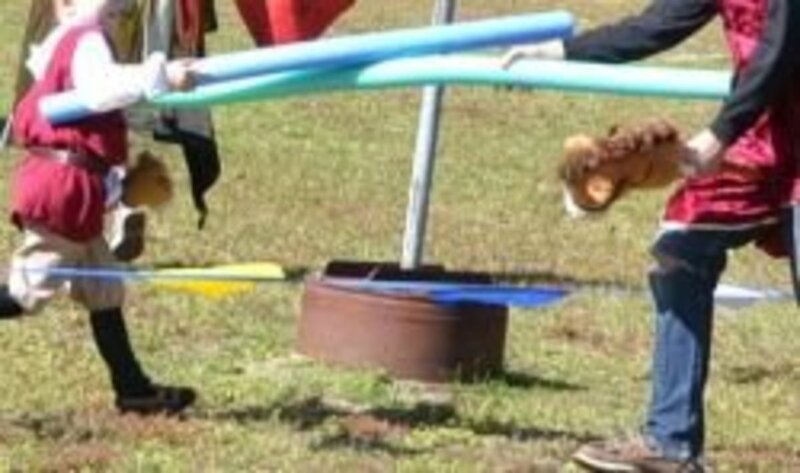 b. Javelin-Throwing: Use pool noodles as the javelins. We hung hula-hoops from tree branches and had the boys aim for the hula-hoops. c. Jousting: Tape a construction paper circle to the front shirt of each boy. Use stick horses or make your own by taping the drawing of a horse's head to the straw part of a broom or sponge part of a mop. Use the pool noodles as lances. Have the boys line up in 2 lines facing each other. Have them "gallop" toward each other on their stick horses, holding their pool noodle lances toward their opponent. When they pass each other, they should try to stab their opponent in the circle on their chest with their "lance." Each boy should try to "score" by hitting the circle on the opponent's shirt. If a score is made then that squire is out and keep the game going until there is one left. 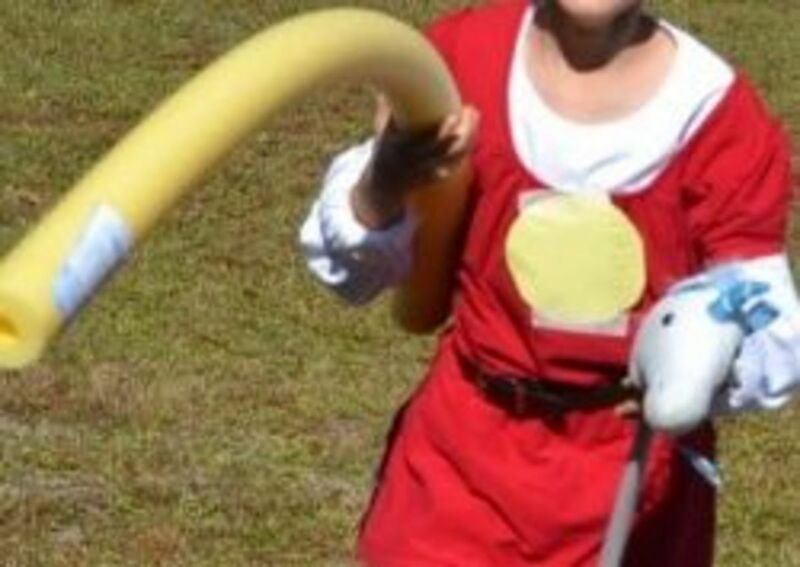 The boys should hold the noodles under their arms and hold the stick horse with the other hand. Line them up on opposite side and have them go. d. Melee: If you have extra time and extra foam weapons, the boys can participate in a melee. They can choose whichever weapon they'd like (foam swords, javelin/lance, foam mace (cardboard paper tube with a foam ball taped to one end, etc.) The choose whichever weapon they'd like. Then they can go up against one opponent, or you can have a free-for-all. Our boys didn't get hurting doing this and had a great time, but there is definitely a high potential that someone could get hurt. 7. Have each girl cut a piece of poster board into a cone shape like a slice of pizza. The two sides should measure about 12" and the rounded bottom should measure about 23". 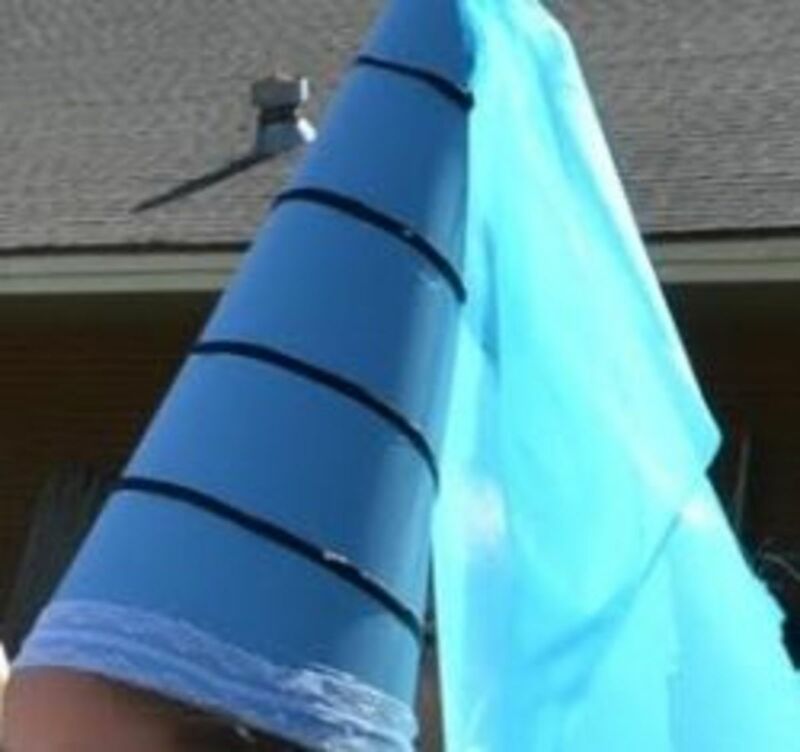 Tape or staple the hat into a cone shape. Let the girls decorate it with ribbons, sequins, lace, and glue. Hot glue guns may come in handy if they're available. Go to www.firstpalette.com for a very good picture of how to make this hat. 8. Read a book on etiquette. 9. Discuss good manners and how they can be applied. Then have them practice saying "please" and "thank you." Teach them how to curtsy. Have them practice walking around the room taking small steps and keeping a book balanced on their heads. Practice stand up straight and sitting with your ankles crossed, with your hands folded in your lap. 10. 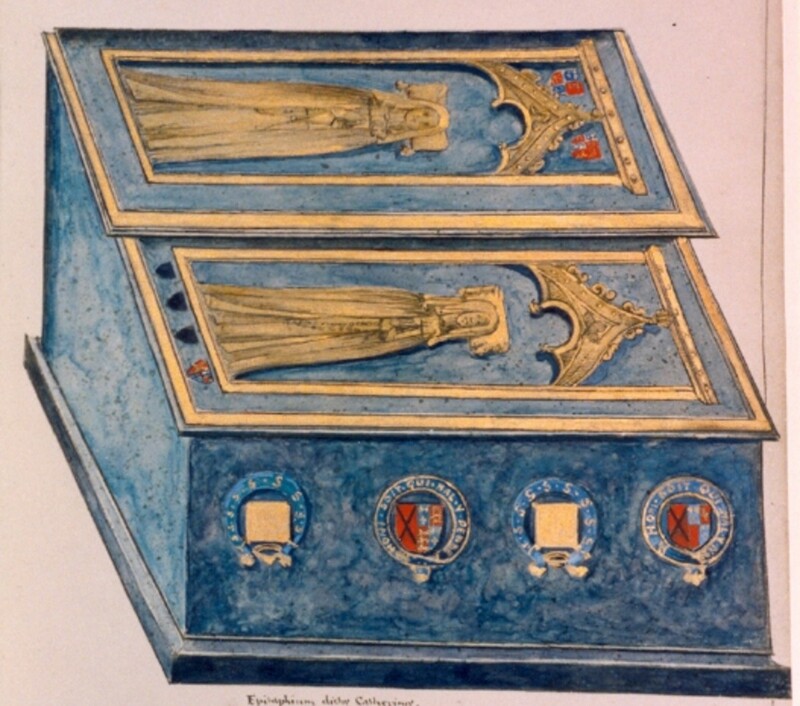 Explain how ladies would give knights favors during tournaments as a token of their support. Favors were usually small handkerchiefs, flowers, or ribbons that the knight could tie to his flag or pin to his tunic. 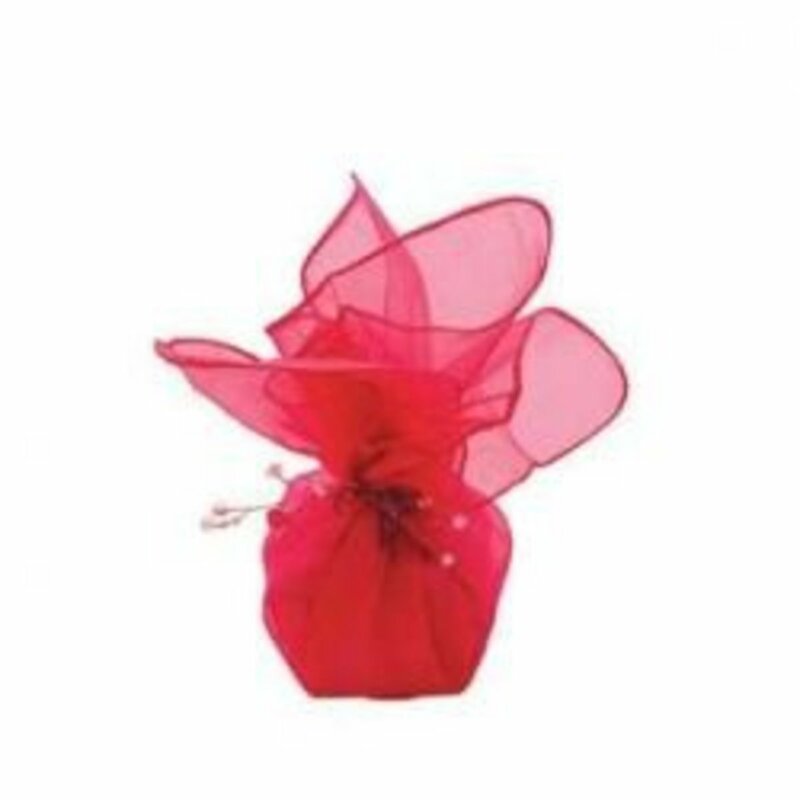 Have each girl roll up a small piece of cloth (a "handkerchief") and tie it with a ribbon. Assign them each a boy "knight" for them to give their favor to before the jousting tournament. a. Ahead of time select someone to be the king & the queen of the tournament. This can be a mom & dad, older siblings, and/or 2 children from the co-op (maybe the ones with birthdays closest to that day). b. The "squires" (holding their shields & swords) will line up in one line and the ladies-in-waiting (wearing their hennin hats & holding their favors) will line up in a line parallel to the boys. c. The king and queen will announce the tournament will begin. The king will give a welcome. d. The queen will begin by giving her favor to one of the squires. The ladies-in-waiting will each give their favor to their assigned squire. The king will announce what is happening. 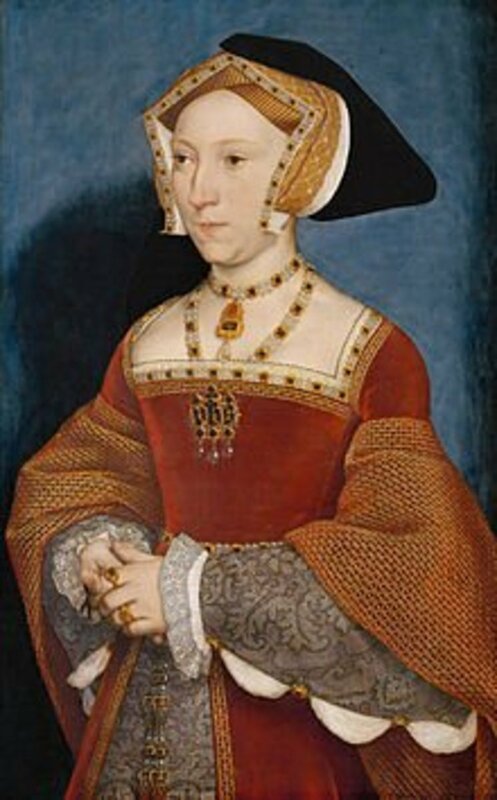 For example, he will say, "Lady Gwen gave her favor to Squire Trent." After each time, everyone else will shout a loud, "Huzzah!" f. Allow the king & queen to sit on thrones (regular chairs with bed sheets covering them & gold ribbon tied around them) & announce that the jousting tournament will begin. The ladies-in-waiting can sit in chairs near the "thrones." g. Have the "squires" lay down their swords and shields and pick up pool noodle lances and stick horses. h. (If you are not limited by time) Hang small rings (like small plastic diving rings used in swimming pools) from tree branches. Have the squires "ride" their stick horses one by one and try to spear their pool noodle lance through one of the rings as they "ride" by. After each attempt, the crowd should cheer with a loud, "Huzzah!" i. Next, have the squires joust in the same manner they did during jousting practice, each trying to tag the circle taped to the front of each squire. 11. (If time allows) Read "The Errant Knight" by Ann Tompert. Discuss how the knight's attributes related to what we learned today and how we can apply them to our lives. Review what we learned today. Looking for more great picture books, free lapbooks, and YouTube video clips? We read many books while studying this lesson. Below are the books that we found to be both educational and enjoyable to read. 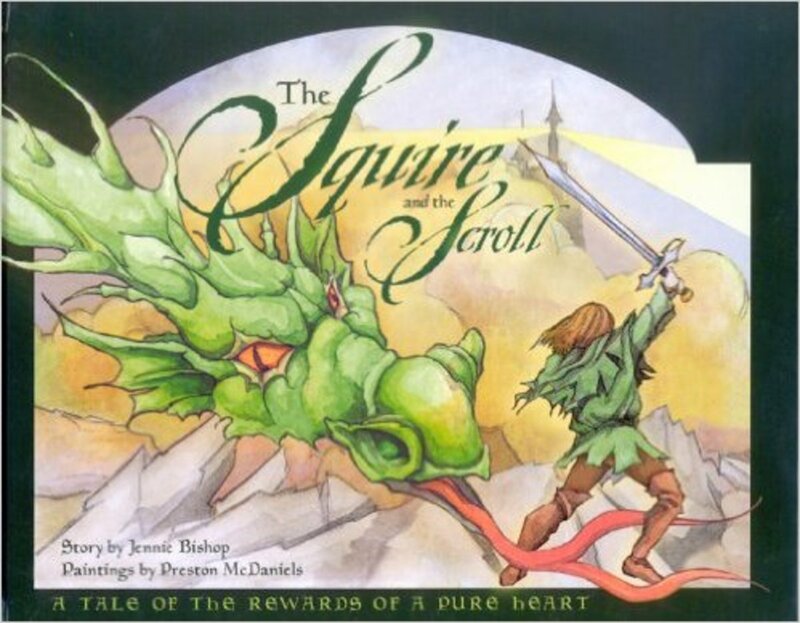 The Squire and the Scroll by Jennie Bishop focuses less on the process of becoming a knight and more on the character of a knight. As a squire guards his heart from evil, he is able to conquer the dragon, save the many knights who were led astray, become a knight, and marry the princess. 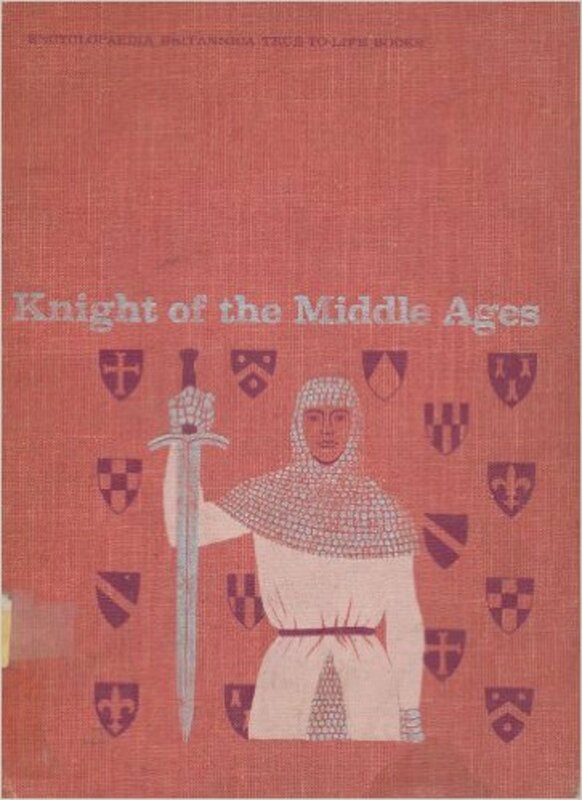 Knight of the Middle Ages (Encyclopaedia Britannica True-to-Life Books) by Dorothy Welker is an out-of print book but it is worth finding! It includes photographs of actors and actresses in period costume in a castle in France. It tells the story of a boy as he begins as a page, works hard, and eventually becomes a knight. It is told in a story format that keeps the interest of the children and it is well-written, including lots of historical information that is frequently left out of more current books. A Little Princess in the Making: A Royal Guide to Becoming a Girl of Grace by Emilie Barnes - All images are from amazon.com. 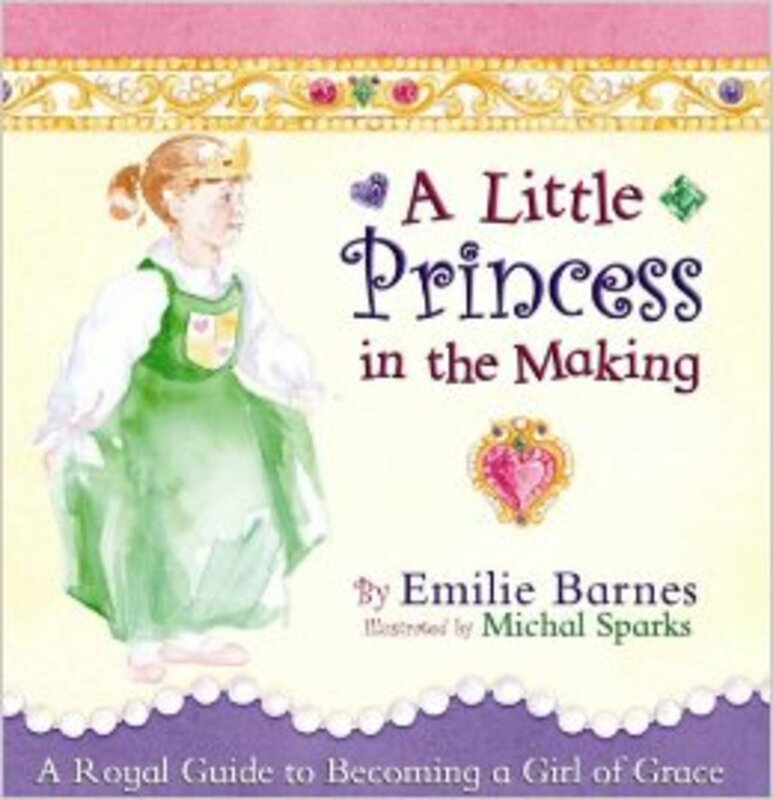 If you have younger girls, A Little Princess in the Making: A Royal Guide to Becoming a Girl of Grace by Emilie Barnes would be a great book to read to them! 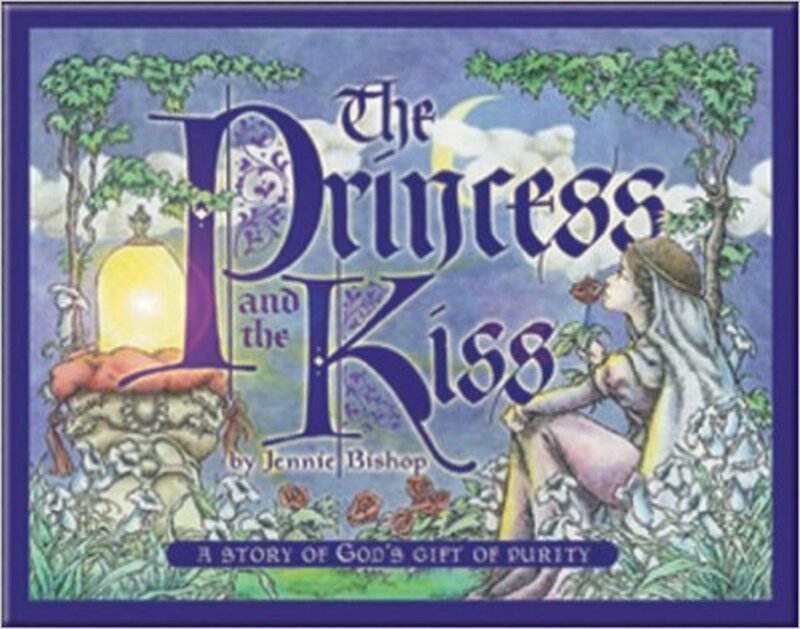 The Princess and the Kiss: A Story of God's Gift of Purity by Jennie Bishop focuses more on purity than manners but is a delightful book to read with nice illustrations. 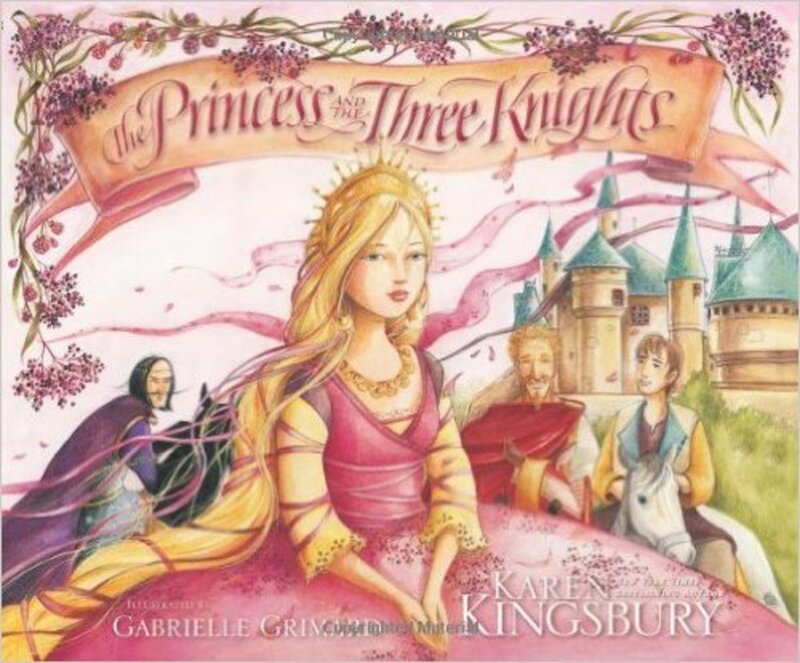 The Princess and the Three Knights by Karen Kingsbury has a similar message and is also a nice picture book to read. Saint George and the Dragon by Margaret Hodges - All images are from amazon.com . 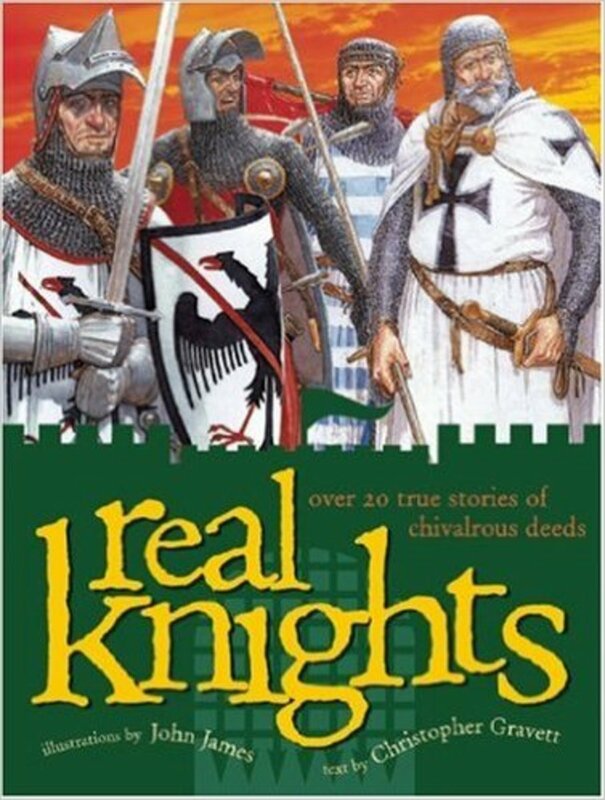 There are so many fun knight books available. 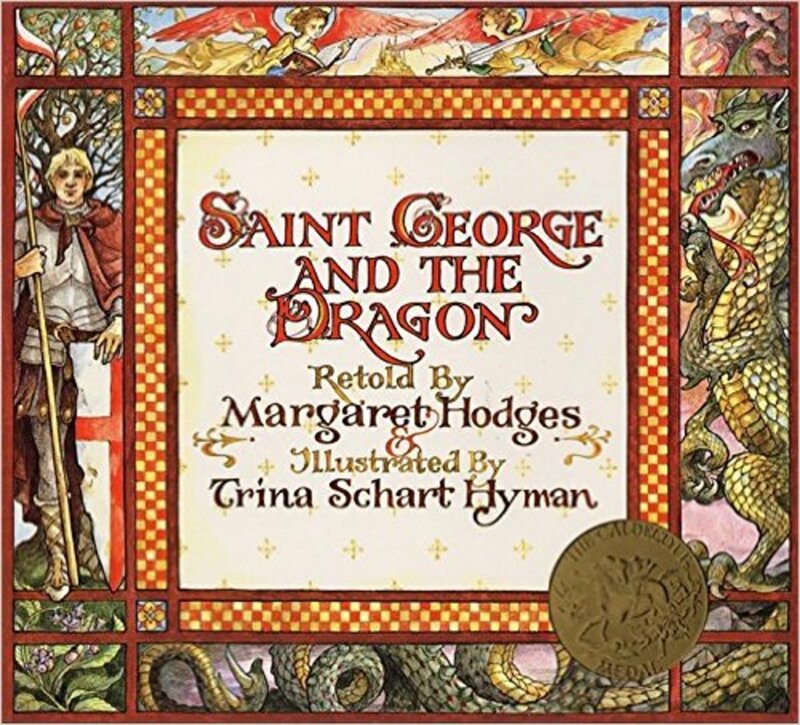 Saint George and the Dragon by Margaret Hodges is a great picture book adaptation of the famous historical tale. 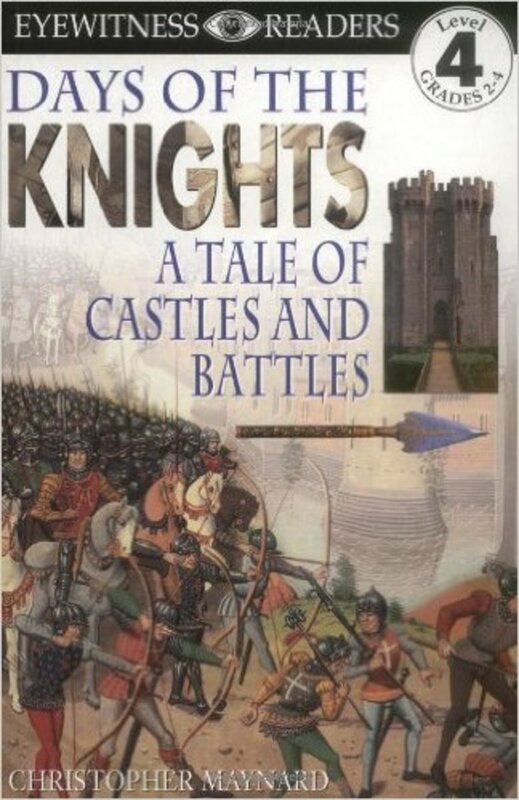 Days of the Knights: A Tale of Castles and Battles (Eyewitness Readers) by Christopher Maynard My 9 year old son especially enjoyed Real Knights by Christopher Gravett, which gives brief introductions to a variety of different historical knights. 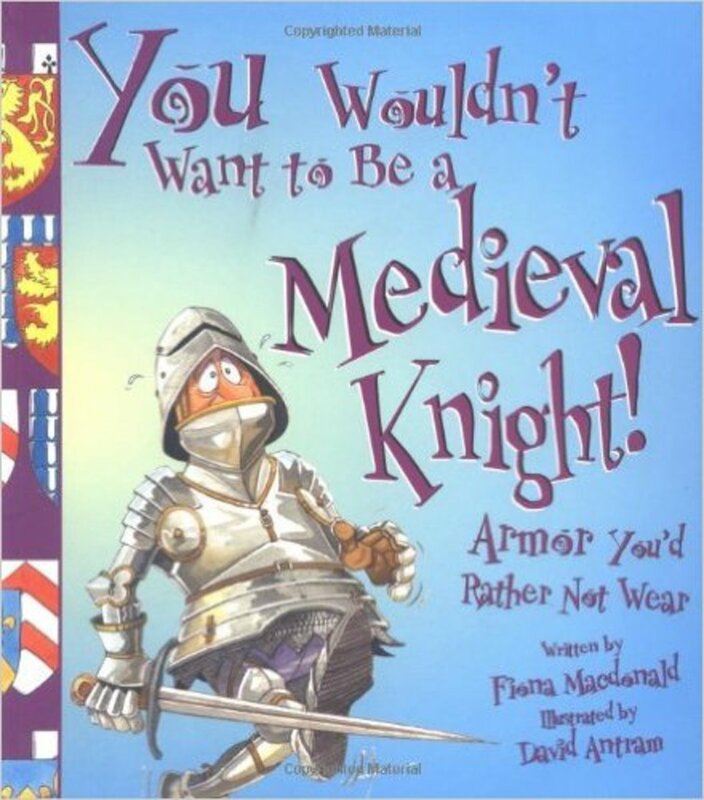 You Wouldn't Want to Be a Medieval Knight! : Armor You'd Rather Not Wear by Fiona MacDonald is another absolute favorite. With much humor, the author explains how being a knight is risky business. Meanwhile, you'll read plenty of historical information about knights. A few more favorites include "The Knight and the Dragon" by Tomie dePaola, "The Bravest Knight" by Mercer Mayer, "Knights" (All Aboard Reading) by Catherine R. Daly, "The Knight Who Took All Day" by James Mayhew (silly/just for fun), "Good Knight Sleep Tight" by David Melling (silly/just for fun), "Midsummer Knight by Gregory Rogers (silly/just for fun), What If You Met a Knight? by Jan Adkins (kind of long), "Knights in Shining Armor" by Gail Gibbons, "Perceval : King Arthur's Knight of the Holy Grail" by John Perkins (long but good), "How to Become a Perfect Knight in Five Days" by Pierrette Dube (silly/just for fun), & "Arms & Armor" (Eyewitness Books) by Michele Byam (good for pictures). 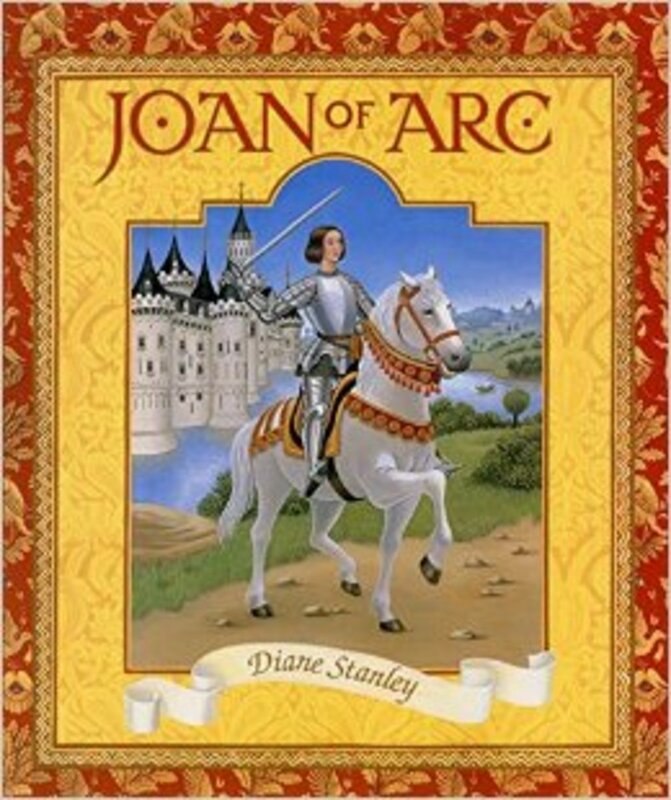 Joan of Arc by Diane Stanley was our favorite picture book biography on Joan of Arc. We also enjoyed reading "Joan of Arc, heroine of France" by Ann Tompert, "You Wouldn't Want to Be Joan of Arc! : A Mission You Might Want to Miss" by Fiona MacDonald, and "Joan of Arc" by Demi. "Your Story Hour" (set 7) also includes a great dramatized CD about her life. 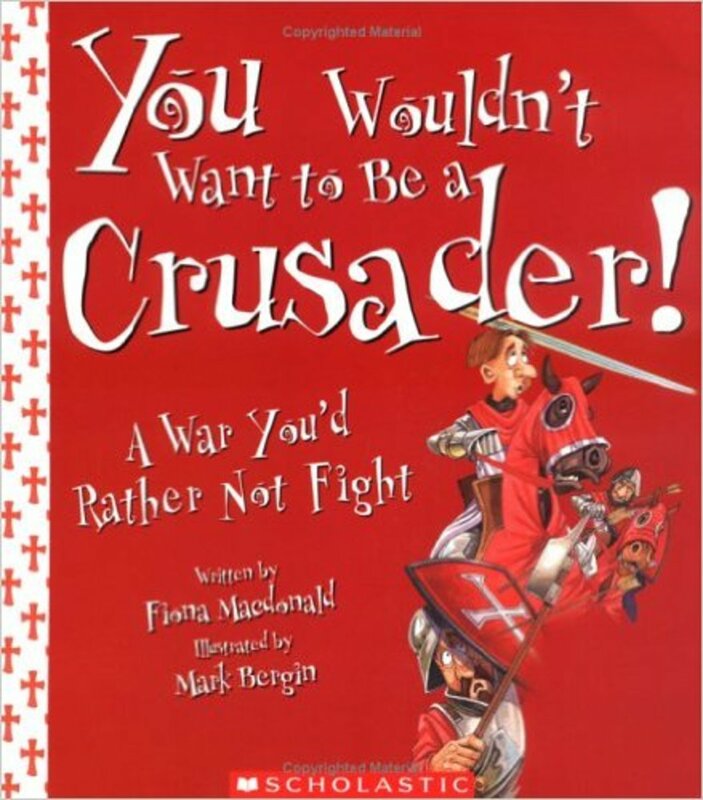 We also read "You Wouldn't Want to Be a Crusader! : A War You'd Rather Not Fight" by Fiona MacDonald, "Richard the Lionheart: The Life of a King and Crusader" (Graphic Nonfiction) by David West. My 9 year old son really enjoyed the chapter book "We Were There with Richard the Lionhearted in the Crusades" by Robert N. Webb. Bake medieval meals, create a medieval village, design stained glass window cookies, hold a jousting tournament, and more during this fun 4 or 5 week hands-on unit study of the medieval period! Medieval Life Lesson - This is part 1 of a 4 (or 5) part hands-on unit on the Medieval Period. Cook & eat a Medieval meal, play Medieval games, create Medieval crowns, and more! Castles Lesson - This is part 2 of a 4 (or 5) part hands-on unit on the Medieval Period. Build model castles, weapons, and more! 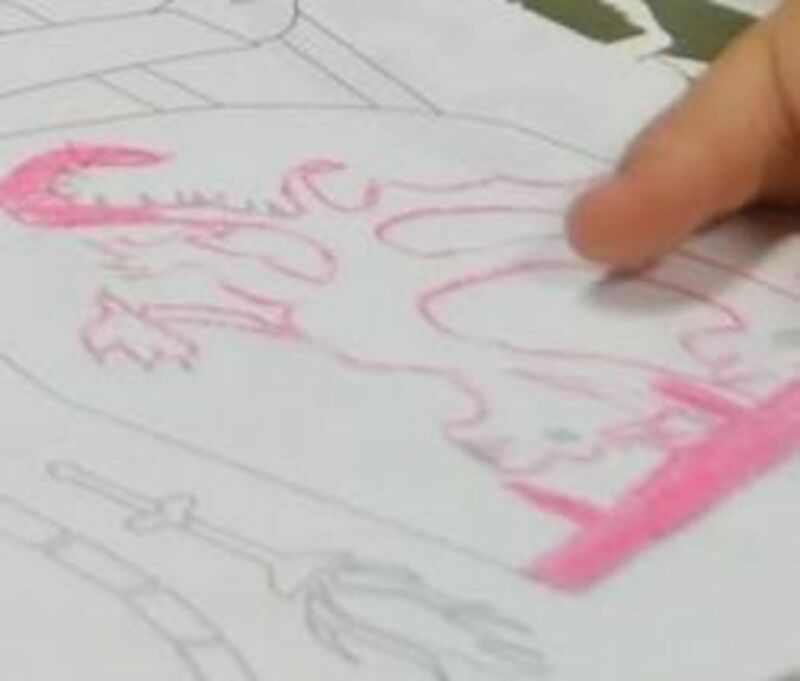 Medieval Art Lesson - This is part 3 of a 4 (or 5) part hands-on unit on the Medieval Period. Mix together and paint with egg yolk paint, design and eat stained glass window cookies, create colorful tapestries, and more! Cathedral Lesson - This is an optional lesson in this unit focusing on Cathedral design and architecture. Decorate stained-glass cookies, design a dome using blocks, sketch each type of cathedral, sing about the true foundation of cathedrals, and more in this fun lesson on cathedrals! Knights & Ladies Lesson - This is part 4 of a 4 (or 5) part hands-on unit on the Medieval Period. 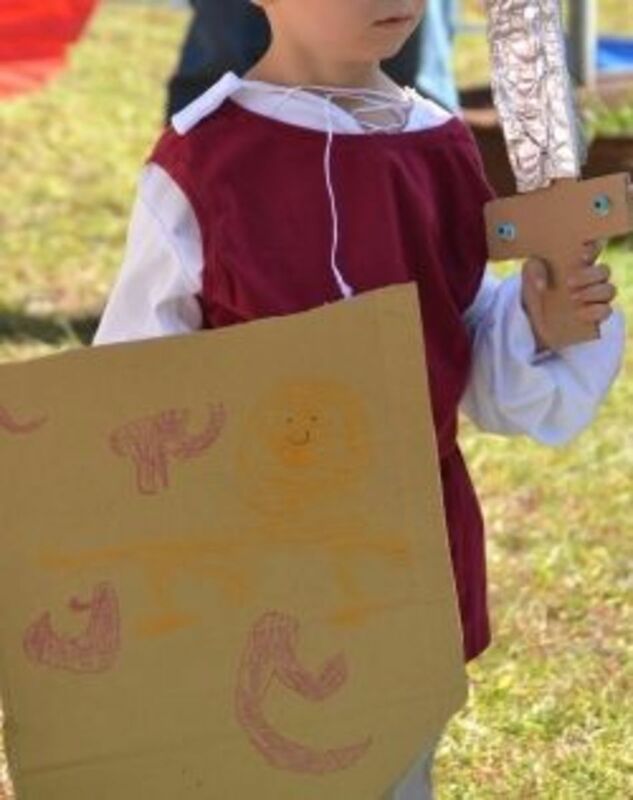 Create a Coat of Arms and swords, hold a jousting tournament, act out a knighting ceremony, and more! 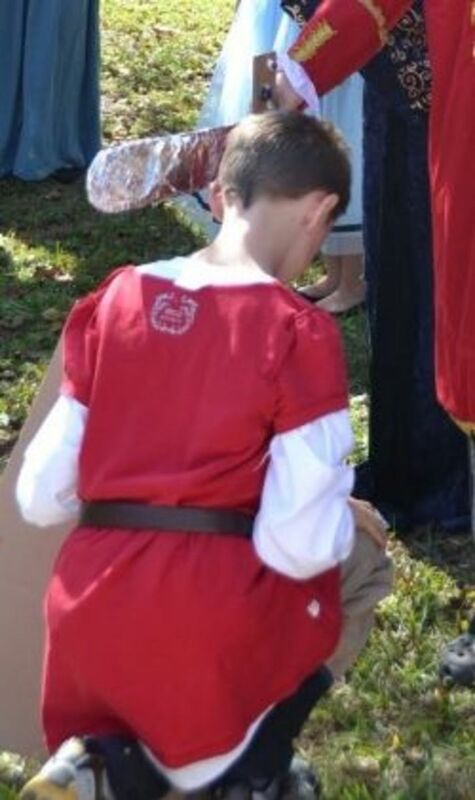 Medieval Feast and Field Trip Ideas - This is the culminating activity we did after a 4 (or 5) week hands-on unit on the Medieval Period. We held a festive medieval feast complete with entertainment and much merriment. Also included are the field trips we took during our unit. Comments, questions, & ideas - Please leave a note to let me know you dropped by! I LOVE getting feedback from you! I cannot ever remember being taught medieval history in school. 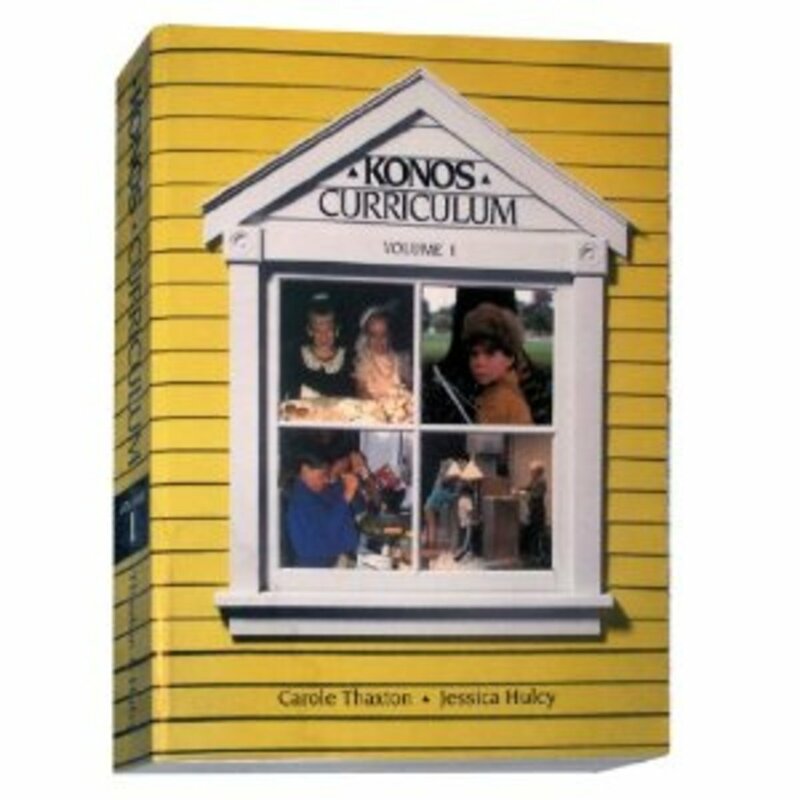 Reading this lens I realized that most of this I learned through television rather than the formal education system. How strange that it is so neglected in classrooms. Such a neat lesson. 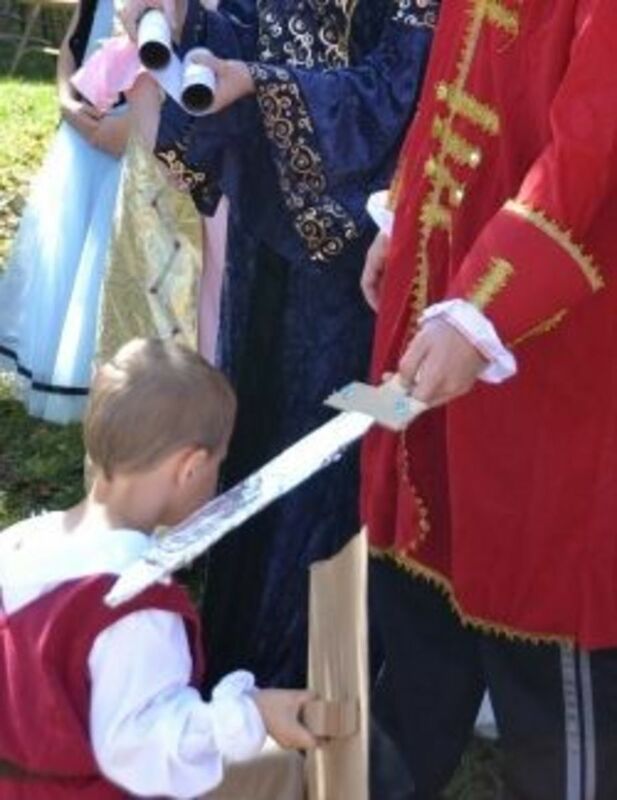 Really cute pictures of the two boys being "knighted". Love your lesson plan lens. @anonymous: What a neat idea! My kids would love doing that! I'll add the link soon. I love your unit studies! I am a homeschool mom that used unit studies all the way through. Mine are all teenagers now. I would like to suggest that you check out my sons' business, Warfare by Duct Tape. (www.warfarebyducttape.com) It was inspired by their study of ancient history. They sell ebooks with instructions on how to make safe, fun, duct tape covered weapons, shields, helmets and much more! Download the free Throwing Axe Booklet to see their work. Would you be willing to add it to your list of suggested resources? We are trying to get the word out about their ebooks.